Women with menopause tend to wonder if asking for hormone replacement therapy might help relieve their symptoms. In some cases, the doctor might recommend it to soften menopausal issues that are interfering with their lives. While taking hormones can dampen some of those hard to handle side effects, the treatment doesn’t come without risks. For decades, medical science has been researching the effects of replacement hormones on a woman’s system. One of the more recent studies found that taking hormones for too long might even lead to hearing loss. It’s a phrase referenced often but not one every woman fully understands. Put simply; menopause signals the end of menstrual cycles. It’s a normal part of the aging process but a difficult time for many ladies. When periods stop, the body produces less reproductive hormones, specifically estrogen and progesterone. Medical professionals attempt to counteract these ugly side effects by prescribing HRT or hormone replacement therapy. The plan is to add more essential hormones to the system and relieve the side effects that occur before, during or after menopause. There are some true benefits to hormone replacement therapy, but only when used short-term. For example, it can lower a woman’s risk of osteoporosis and make skin look younger. It’s not all good news when it comes to HRT, though. There are some disputed studies that indicate HRT may increase the risk of breast cancer. Long-term use raises the chance of developing heart disease, as well. Research scientists have looked for a connection between hearing loss and hormone replacement therapy, too. Women, in general, have a lower risk of age-related hearing loss. In fact, men are twice as likely to suffer from it. The question is what percentage of women that report hearing loss also undergo hormone replacement therapy? In 2006, Robert D. Frisina, Ph.D., published a study in the Proceeding of the National Academy of Sciences that estimated 10 to 30 percent of hearing loss in women is related to the use of one specific hormone. The study author stated the risk goes up for women that already have some hearing loss, as well. This particular study was discounted by some in the medical community as being too small, though. A 2017 report published in Menopause analyzed existing data provided by the Nurses’ Health Study II to see if they could find a more significant connection between HRT and hearing loss. The researchers involved in this study collated and analyzed data from 81,000 women who participated in the Nurses’ Health Study II. At the beginning of this large-scale research project, the participants were between the ages of 27 to 44. The study followed them for 22 years with women self-reporting about their hearing and HRT use. Of the 81,000 women involved around 23 percent noticed hearing loss as they grew older. They all took an HRT regimen that included either just estrogen or estrogen plus progestogen. 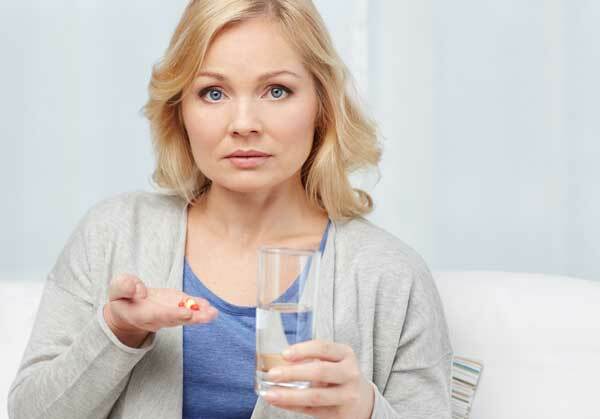 Based on this data, the study authors concluded that the use of oral HRT in postmenopausal women for a prolonged period could increase their risk of hearing loss. That’s a question only a qualified medical practitioner can answer. The study shows there may be a risk of some hearing loss with HRT use, but not all women experienced the same thing. HRT isn’t right for everyone for a number of reasons. It is important that your doctor has all the facts before prescribing this therapy. If you suspect you already have some hearing loss, mention it to your doctor. Consider getting a professional hearing test to use as a baseline, too, so you can monitor your hearing as you grow older whether you take HRT or not. Call us today at 217-434-4141 or send in this form now.